You will need to be book a place for some of the courses we run. However, many of our sessions you can just 'drop-in' without booking. Phone or visit us at the centre to book your place or request more information. Open Monday to Friday 9:00am - 5:00pm. Some Saturdays we have our Dads' group available. Please contact us for further details. 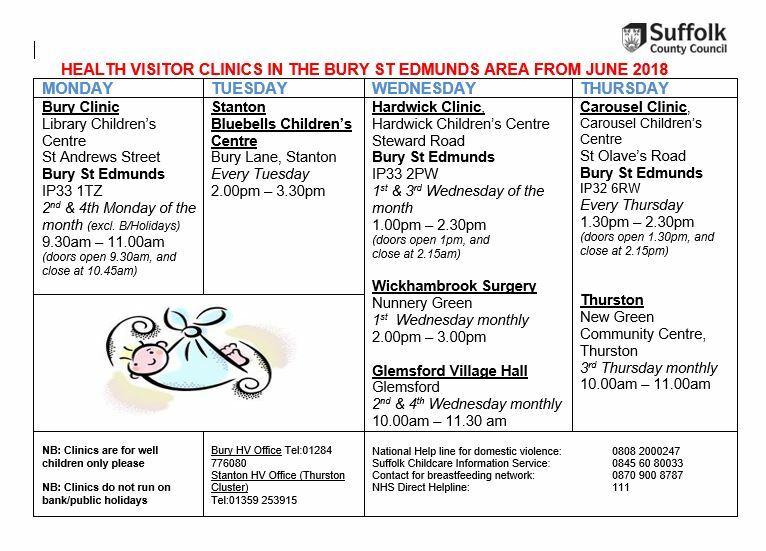 Health and Children’s Centres are places where families with young children under 5 can go to access a range of activities and support services. Opened in Autumn 2010, the Bury Library Children's Centre has been developed as part of the major library refurbishment, providing an excellent facility that is spacious, modern and well equipped. We run family activities that help children learn through play. Our sessions and groups are designed to assist a child’s learning and development and offer an enjoyable experience for both parent and child. Located in Bury Town centre on the ground floor of the Library, with the main Bus Station opposite and Car Parking a short walk away, the Children’s Centre is very accessible. Our Children's Centre services include: Family activities, antenatal services, health services, advice about money and housing, help with school readiness, infant massage, parenting support groups, information about childcare and accessing free early education for your child, breastfeeding support and support to access many other services according to your needs. How does Bury Library Children’s Centres cater for children and families with special educational needs and/or disability? At Bury Library Children’s Centres, we are committed to promoting and providing high quality learning and play opportunities. We believe in valuing and respecting each individual in a welcoming, accessible and inclusive environment. The Centre has an equal opportunity policy which is reviewed as a minimum yearly. We offer a range of universal and targeted support and services which are designed to meet the needs of all users. When it is time for your child to start attending nursery, pre-school or school, we can support you the transition period as we know this can be both challenging and an emotional time. Together, we can develop a transition passport which will help ensure that there is a smooth transition for you and your child. We work closely with other agencies in the community. What arrangements are in place to ensure that Bury Library Children’s Centres is accessible for children and families with special educational needs and/or disability? Our Centres are DDA compliant and fully accessible from all entrances and exits. There are some disabled parking spaces at the back of the building. Within the Centre we have accessible toilets with baby change facilities. We have non-slip flooring and carpeted area. The furniture is entirely moveable and adaptable allowing us the flexibility of creating and moving spaces if required. Resources and equipment are displayed at child-height, and are fully accessible, allowing children to make independent choices about their play. What training or experience do staff supporting children and young people with SEND have?